Rev. 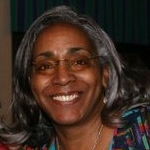 Khadijah Matin, M.S., has combined over 30 years of service in the areas of history, health and adult education. In the area of African American History, her work includes the Afro-American Historical & Genealogical Society, serving as its National President. Her research focus areas include Midwest history and Native American/African-American research. Additionally, she lectures and performs as a storyteller focusing on her family’s history in the Midwest (Kansas, Oklahoma, Nebraska) and Ontario Canada and 19th and 20th century African-American history. Khadijah is also an Executive Board member of the Kansas Institute for African American and Native American Family History (KIAANAFH). Inspired by her faith, Khadijah believes that the work in African American history and genealogy is a calling and a blessing. The works of her children Karim, Ibrahim and Jehan also are a source of inspiration.